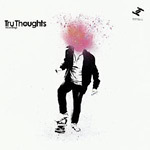 Tru Thoughts' first label compilation of 2010 showcases an eclectic stable of musical talent with its collective eye on a new decade. The vinyl release of ''Shapes 10:01'', includes double vinyl plus the double CD, 24 tracks in both formats. Features acclaimed current material from acts including Quantic and his Combo Barbaro, The Bamboos, Kylie Auldist, Hint, Azaxx, Belleruche, Lizzy Parks and Stonephace; plus a generous pick of upfront exclusives; and reworks from the daddy of UK dance music, Ashley Beedle (X-Press 2), rapidly rising dubstep star Flux Pavilion and many more exciting musical talents.